In a bowl mix the cream cheese with walnuts, cranberries and lemon zest. Wash the apples and remove the seeds and the stem with a knife, creating a nest. Sprinkle with brown sugar and bake in the oven for 10 minutes at 180°C (or in the microwave oven). 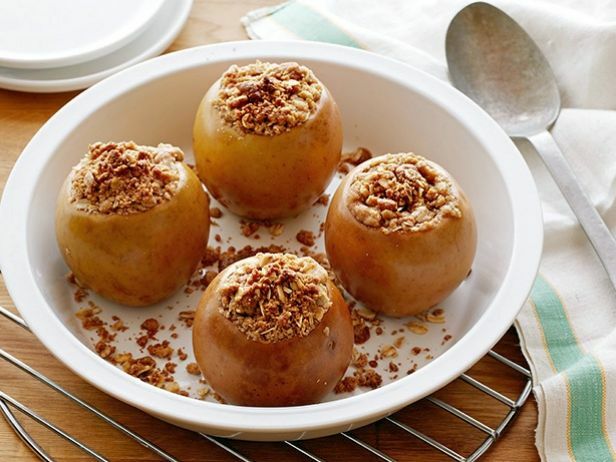 Remove the apples from the oven and use a spoon to stuff them with the cheese mixture. Pour the warm syrup made from the baking juices over the apples and sprinkle with cinnamon.